Here we are. It has been an awesome couple of years for this amazing Bioware franchise, and we are now at the end of Commander Sheppard’s story. Mass Effect 3! I don’t think I have even been so excited for a game as I am for Mass Effect 3. Sure, I have been really excited for amazing games like Legend of Zelda Skyward Sword, but I have that same built-up excitement for Mass Effect 3. At first, I didn’t really care much for the Mass Effect series. The first game, while filled with some really fun characters and good ideas, had bad combat. It is hard to explain why it was bad, but it didn’t feel really polished like other third-person shooters were at the time. Then again, I don’t really remember any amazing third-person shooters until Uncharted came out, but that is probably my young ignorance to older third-person shooters back in the day. Now, the second game was amazing with a really good story, much improved combat, and still had the same awesome characters. The only real complaints were there were some questionable melee attacks, some very tedious areas, and some rather disappointing make-out scenes with the girl you chose to romance. The third game is usually less of an innovator and more of a perfecter. It improves, but also perfects on some things. It was for me, the best game of 2012. Why is it the best game from 2012? Well, read on to find out! The story starts off right after the Mass Effect 2 DLC, The Arrival, where Commander Shepard is now on Earth, speaking to the council about his actions during that DLC mission. However, during that conversation, the reapers land on Earth and start blowing it up. Shepard then has no choice, but to leave Earth and rush through the galaxy to find war assets, allies, and a way to defeat the Reapers and Cerberus, who have recently decided to put their plans into action once and for all. Let me get one thing clear, the story is GREAT. It is one of the best stories in any game I have played in, like, forever. You get a lot of great characters old and new from the last couple of games. Some of them play some pretty big roles in the story, like Mordin and Legion having some of the best moments, but also having some of the saddest in the game. You will feel anger, sorrow, and many other emotions while you play through this game. The ending of the game might be a mixed bag, but I think the controversy revolving around it is a bit overblown, in my honest opinion. The gameplay has been perfected and has more spirit in it. It is still the same squad-based third-person shooter with RPG elements. You still play as Commander Shepard, male or female, as you go through multiple missions that could very well mean either the victory against the reapers or the death of all races across the galaxy. The abilities like fire bullets, shocking people, summoning a droid-like companion, and others are all there still, but some tweaks have been added. Melee combat, while it could have been better is greatly improved, so you can actually beat the tar out of your enemies if you want to. While the partner AI can still be a bit of an issue, it isn’t as bad as the last game, and enemy AI is very aggressive. Maneuvering in battle is also better due to the ability to run faster and longer, unlike in the last game. Overall, combat is greatly improved and has been added to. You can now customize your guns to be as effective as you want them to be. Just like the other games in the series, any decision you make could be good or bad for the story and everything from the past games will add up to what happens in this game. Now that we got all of the single-player stuff out of the way, let us talk about the multiplayer. There is a twist on the overdone horde mode, where you and 3 other random players will need to survive through 11 rounds of Cerberus, Geth, or Reaper enemies. Instead of it being tacked on, like other people have said, it does help with whatever ending you get in the single-player mode. There are also little assignments, from hacking computers to taking out certain enemies first before the timer runs out, mixed into the fray to give some variety to the horde mode. The rewards come into play by strengthening your character and class, upgrading your weapons, and even upgrading other classes. People saying it’s tacked on are just wrong. Now, if it didn’t give us anything in return, then yeah, I would agree, but since it helps the single-player mode, I don’t think it fells tacked on. Overall, with the single-player and multiplayer, you will have plenty of hours to play through this game, and those hours will be well worth it. Graphically, this game is beautiful. Using an improved Unreal 3 engine, Mass Effect, while at times having minor graphical issues, has a very impressive graphical presentation. Voice acting is still top-notch, with a lot of the voice actors from the past games like Mark Meer, Seth Green, Ali Hillis, Brandon Keener, Keith David, Steve Baar, Ash Sroka, Steve Blum, and D.C Douglas returning to voice their characters. Sadly, Mordin’s original voice actor, Michael Beattie was not brought back, and replaced by someone named William Salyers who does a good job with him. The music is beautiful, and, in my opinion, is better than Mass Effect 2. This is due to a couple of different composers coming onto the game. The biggest name of the group of composers is Clint Mansell. He is famous for his musical work in films like The Wrestler and the recent hit, Black Swan. The other composers worth mentioning are Christopher Lennertz, and Cris Velasco, who have worked on DLC for Mass Effect 2. Overall, Bioware did not play it safe like with Dragon Age 2, and went all out with this game’s presentation. So, yeah, this sounds like it’s the best thing ever and is one of the top 5 games of this year, and it is. However, there are some minor complaints that come up. Now, my complaints are not towards Tali’s real face being shown, or the day 1 DLC, since no one is forcing you to get into a romance with Tali or buying the DLC to have the new ally. My complaints come towards the smaller team roster. You only get 6 playable teammates this time, and while I do not like it, I can understand why they did this since it gives you more variety instead of having of having 3 or 4 allies that are basically the same, with only one being stronger or faster. The other minor complaint is a bit about the ending. I played through this game twice and got two of the 6 different endings, and yeah, I don’t think it’s THAT bad, and I think people stupidly overreacted to it, but I can understand why people don’t like it, though I do not know what was going through their daft thought process to think they had any right to bring the Federal Trades Commissions into this. I mean seriously, that is one of the dumbest things I have ever heard. It’s been a year now, and I still see people complain about this and how EA is the worst company of all time. You know what? THEY AREN’T! I can think of companies that are not part of the gaming industry that are far FAR worse than EA. I can think of a few game companies that have even crummier business practices that are worse than EA’s business stuff. Though admittedly, what they did with Medal of Honor was rather ‘what the hell?’. I know some people will probably like Mass Effect 2 more than 3, but I think they are both the best out of the series for different reasons. Mass Effect 2 expanded and fixed the issues that Mass Effect 1 had, while Mass Effect 3 perfected and improved on the gameplay and gave us an amazing story with a somewhat controversial ending. If I had to pick which one is my favorite, I couldn’t. I love both Mass Effect 2 and 3 equally, and I recommend getting both for either your PS3, 360, Wii U, or PC. You can even get the complete trilogy for the PS3, 360 and PC. 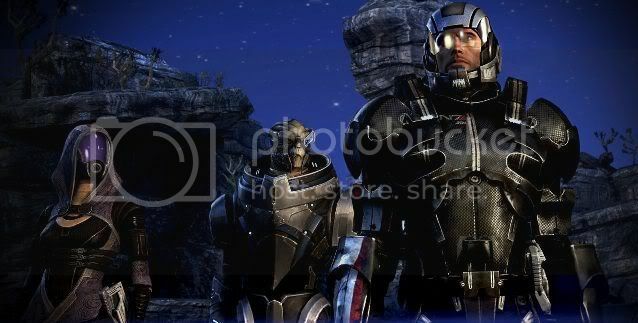 I know they are making a new Mass Effect game and I do hope it’s not a prequel or sequel, but its own story. 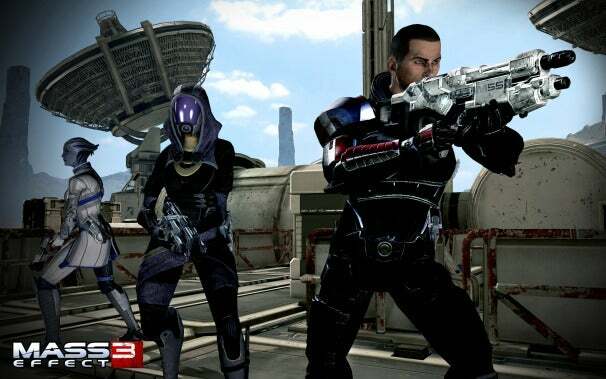 It would be cool to see a Republic Commandos like Mass Effect game, but I think Bioware will take their time and hopefully bring us back to this amazing series.